To celebrate our successful audit we are sharing it with you throughout March. 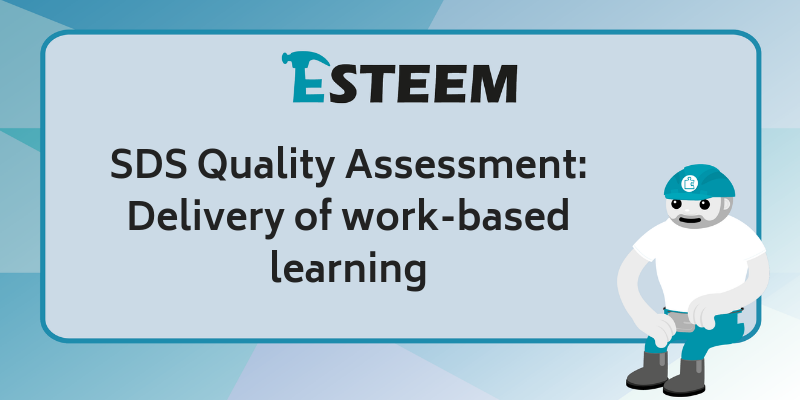 Today we will be looking at the ‘delivery of work-based learning’ section and what SDS picked up on. At the beginning of our MA contract our SVQ programmes were only held in Cumbernauld. However, after listening to employer feedback regarding logistics we now offer regional programmes in Aberdeen and Argyll. We work with employers to ensure we are meeting their needs and removing barriers which could restrict their team from developing. To secure your team a fully funded place on our upcoming programmes please contact Andy today on 07766 658083 andy@esteem.uk.com. First come first served!